We welcome you to explore and enjoy the beauty of Pakistan. Experience Pakistani Culture and its hospitality. We are proud to host cultural and historical tours, jeep safaris, desert and camel safaris etc. Our team is well trained and experienced, needed to serve international expeditions and are well aware of your needs. We wish to make new friends in time to come. of qualified staff and different languages speaking guides to make it possible to provide best results. And offer new ideas to our clients. Maximum comfort at most reasonable our company offers costs to our clients. Adventure Silk Road Inc offers some of the most out-of-the-ordinary Pakistan tours and vacations. Many of the Pakistan tour packages feature unique opportunities pertaining to Pakistan tourism, that you are not likely to find anywhere else. Browse through them and click on the tour package name to see the tour details. You can contact the travel supplier to: ask questions, order a free brochure, or inquire about availability with no obligations to purchase. 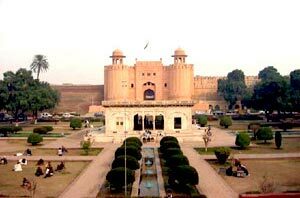 Travel & Culture services offers most unique and exclusive tours for Pakistan. We offer Superior and personalized services to our valuable clients. All our guides are well educated and speak fluent English. We also have guides speaking Italian, German, French and Japanese. We enjoy volume discounted rates from all hotels and transporters of Pakistan, which makes your tour, cost effective and hassle free. You can chose any of the tours mentioned below or contact us for custom tour program to suit your interest time and budget. We also offer special. Tourism is growing in Pakistan and this is due to the diversity of cultures, peoples and landscapes. There are a huge variety of attractions that range from the ruins of ancient civilizations such as Harappa and Taxila, Mohenjo-daro, to the Himalayan hill stations. Do not miss the Hunza and Chitral valleys, the historic city Lahore, Tomb of Jahangir Badshahi Masjid, Shalimar Gardens, and the Lahore Fort.